Looking for a cheap yearly web hosting services? we can help. Here we have listed top 10 cheap yearly web hosting services that you can buy for as low as $0.99 per month. Finding a good cheap web host that provides quality hosting for reasonable prices can be a challenging task. Neither all good web hosts have cheap prices nor do cheap hosts have quality services. Finding a combination of both, cheap plans and quality hosting together is a very difficult job. Though You can always go for free web hosting providers which provide good enough hosting for free but they do come with their own cons such as some hosts need you to place their backlinks on your website while some post advertisements, but it doesn’t have to be like this if you go for paid web hosting. Cheap yearly web hosting plans are best for those people who are just starting out in the online world or just need hosting for their small-scale websites. Overall cheap hosting can be an eye-candy considering the price and services they offer. Though always keep in mind, Cheaper hosting will always have one issue or another so be prepared for unexpected ups and downs. But still, there are many good cheap hostings out there that provide good performance for cheap prices. Here we have compiled a list of top 10 web hosts that provide quality hosting for cheap prices. Godaddy Economy hosting plan is the best option for you if you want scalable paid hosting for reasonable prices. Godaddy is well known for its dominance in the web hosting and domain market. It is the second company in the triumvirate of the top web hosting companies, the two others being the giants 1&1 and EIG group. Godaddy is well known for its high-quality web hosting services and high uptime (99.9%). 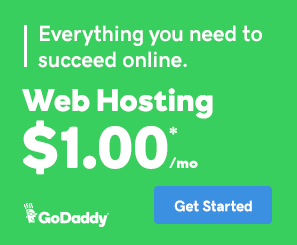 If you need a hosting plan with basic resources for starter websites or if you are looking to purchase your first web hosting plan, Godaddy Economy is the best option you can go for. 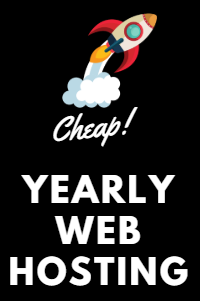 The initial costs of this price are $4.99 / month if you buy hosting for a year, and it will cost only $ 2.49 / month if you buy for 3 years and the renewal price is $7.99. You get a free domain name with this plan (if you buy the annual subscription) and you also get web hosting limited to one website and 100 GB of storage space, unfortunately, it is HDD storage and not SSD, but for the price point, HDD is good enough. You also get unlimited bandwidth with this plan so you don’t need to worry about monthly transfer quota. Free Microsoft Office 365 Subscription is bundled with this plan which is a nice addition to all other features. You can also create a free business Email with this email, but it is valid only for the first year. Special Godaddy Hosting Discount: Get Godaddy Economy Plan with Free domain name for $1 per month. Click here to know more about Godaddy $1 hosting. Along with these features, you also get additional features that are common to all the plans provided by GoDaddy such as, 1 GB additional storage space for MySQL databases. 24/7 security monitoring and DDoS protection is included in this plan. If you need to buy addition add-on resources like CPU, RAM, I/O you can use 1-Click tool to purchase. One-Click web apps installation – Godaddy uses the web hosting standard cPanel for managing your hosting accounts. You also get the 1-Click web apps and scripts installer that can install 100+ apps such as WordPress, Joomla, PrestaShop, Drupal etc. Security & Technical support – Talking about customer support, you can contact the support team 24/7 via different means. You can either use the toll-free line or initiate an online chat or just raise a support ticket or mail them the issue directly. Godaddy also monitors your websites 24/7 for security threats and malware. It also provides advanced protection against DDoS attacks. Reliability and uptime – Godaddy is amongst the industry leaders in web hosting field. It has high uptime rates which are rarely below 99.9%, so Godaddy is super reliable as far as uptime is considered. No option to choose to host location on your own. Hosting renewal prices are high. If you are looking for cheap yearly web hosting with tons of features then 1&1 Basic web hosting plan is for you. 1&1 is a reputed web hosting company and like many other web hosts, it also offers 30 day money back guarantee. Implemented with features such as geo-redundancy and the new HTTP/2 protocol as a standard, this plan is the best choice for people who require low budget web hosting plans. The Basic plan costs $0.99 / month for the first year and the renewal prices start at $7.99 which is normal considering the prices of other web hosts. The basic plan is a perfect for dynamic web projects or for those people who are new to blogs and websites. It comes with 100 GB of storage which is HDD type and provides hosting for one website. You also get the ability to create upto 25 databases which can be stored in 1 GB SSD storage each which is provided additionally. Having SSD storage for databases if good as it increases the data fetching and transfer speed for the website. You can also create 500 Email accounts having 2 GB storage for each mailbox which gives you additional 1 TB of extra storage. The bandwidth provided with this plan is unlimited and a free domain name is also included with the annual subscription, though the free domain extensions are limited to com, net, org, info, biz, website, club and me. All this is powered by a 2.5 GB of system memory which is more than enough for small scale websites. Dynamic Cloud servers – 1&1 Hosting plans comes with high performance Dynamic cloud servers where you can select the server configuration as per your needs. The cloud servers provides load balancing for traffic distribution and high speed website deployment. Extra goodies – 1&1 hosting provides tons of benefits for better website performance along with the hosting, which includes. HTTP/2 protocol as the standard transfer protocol. Easy 1-Click installation for over 70 applications. Performance and security – In terms of performance 1&1 allots unlimited traffic and MySQL 5 databases to Managed account holders. THey also provide FTP accounts with SSD storage options for faster performance. 1&1 processes the data parallely in two different data centre locations in United states giving extremely high data transfer rates upto 300 GBPs. 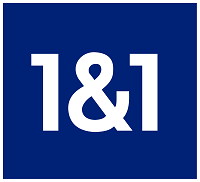 For security, 1&1 provides advance protection against DDoS attacks and malware scanning with SiteLock. You also get file recovery services for linux based hosting accounts. The new and fast CDN implemented by 1&1 comes with HTTPs protocol as the standard and ensures that you get maximum performance with optimum speeds. Reliability – 1&1 is one of the most reliable hosts that you can find. It has uptime rates mostly above 99.9% and provides 24/7 technical support which is a must have. Hostgator is ideal for those people who want web hosting for long-term usage. Hostgator is backed by EIG and is one of the oldest and most praised companies in terms of hosting. Hostgator hosting has three plans named as Hatchling, baby and Business costing $2.64/month, $3.78/month and $5.68/month respectively. The Hatchling plan is the most affordable one and provides hosting for a single domain and costs $2.64 / month and if you buy the three-year subscription you will have to pay $31.68. Sadly you would not get a free domain name or free SSL certificates with this plan. Though you get unlimited storage space and bandwidth. But the unlimited storage is not for storing personal files, it can be only used under certain limitations which are listed in terms and conditions). You also get a free website builder & 4500 templates that you can use and create drag and drop websites. You also get unlimited Email addresses and 24/7 technical support. If you are not satisfied with the plan you can use the 45-Day money back guarantee to get your money refunded. Subscription to Google Adwords with $100 credits. Bing + Yahoo subscription with $50 credits. Email inboxed and FTP accounts. Access to the most popular control panel. Reliability – Hostgator provides 99.9% uptime guarantee and free transfers for new accounts within 30 days of sign-up and also to the newly updated accounts. Great support – Hostgator provides 24/7/365 technical support via different means such as phone, live chat, emails, ticket system and also provides a huge self help online knowledge base. Easy to use – Hostgator comes with the latest cPanel as the default hosting managing software which provides easy access to all the administration tools. You can also use Hostinger backend panel to gather statistics for your website. Free domain name with all the plans. High uptime with superfast servers. iPage is also a part of the EIG group and provides real value for money. iPage provides a ton of features for the minimum prices possible. The basic plan costs $1.99 / month, though the regular price is $7.99 / month and you can buy the plan for a period of 12, 24 or 36 months. The core features of Ipage hosting includes unlimited disk space, scalable bandwidth, unlimited allowed domain names and unlimited MySQL databases. All the plans on iPage come with a free domain name worth $14.99 and a free website builder that uses drag and drop tools to create simple websites upto 6 pages and a mobile-optimized version of the website too. You also get free unlimited Email addresses which also includes autoresponders and email forwarding features with support for POP/IMAP. Free marketing tools – iPage provides $100 worth credits for the Google AdWords offer and $50 worth of credits for paid advertising with Yahoo! And Bing sponsored search. iPage also provides free marketing tools with all the hosting plans worth $500. These tools include $100 Google AdWords bonus, $100 in Bing Ads credits. Security and Reliability – You also get SiteLock website security that provides 24/7 network monitoring and visitor statistics / Site traffic reporting with performance load balanced servers backed up by UPS power backup and generators. iPage also has a great uptime rate which is always more than 99.98%. Customer support – The customer support team uses an online help center and ticketing system to address your queries. You can also avail the customer support via 24/7 phone and live chat support. If you are unsatisfied with the hosting plan you can avail the 30-Day money back guarantee and refund your money. Very cheap prices as compared to peers. Easy to use and simple user interface allows quick and easy learning process for newbies. Server speeds are not that great. No SSH and SFTP access is provided. 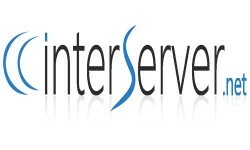 InterServer web hosting relies on the more advanced side of the users who are much experienced in hosting and websites. Though the prices offered by Interserver are comparatively higher than its peers but they do make up for this fact by providing Price Lock guarantee which keeps the prices of the hosting plans same even at the time of renewals. InterServer Web hosting provides three plans named as Standard web hosting, ASP .NET web hosting and Managed WordPress costing $5.00/month, $5.00/month and $8.00/month. The Standard Web hosting plan comes with Unlimited ultra SSD storage, Unlimited Email accounts, free website builder and 24/7 technical support. You also get Intershield Security protection and Global content caching facility for better performance. Private Data Centres – InterServer provides servers that are located in it’s private Data centres located in New Jersey Headquarters. By default, all the servers run at 50% of their maximum capacity so that you can easily scale to full potential whenever needed. Managed WordPress hosting – If you are looking especially for WordPress hosting then InterServer is the best option for you. It provides daily backups and virus scans to avoid any complications. Easy to use – InterServer uses a comprehensive tool that provides easy access to all the tools required for managing your hosting and domains. The interface is very easy to use and clean and anyone with minimum knowledge or no knowledge at all can easily navigate through it. Reliability – InterServer promises >99.9% uptime and 24/7 technical support. Price lock ensures no price hikes happen in future. Ability to host unlimited domain in one hosting account. Free website migration for new customers. No free domain name provided (additional $15 / year required). If you are looking for an affordable host with quality hosting, then Bluehost is a solid option for you. Bluehost is a reputed company and their low-cost plan combined with high-quality web hosting services is what makes this web host such a great choice for people needing good value for money. The basic plan on Bluehost costs $2.95 / month for the 36-month subscription and comes with 30-day money back guarantee. You get unlimited disk space and a free domain for the first year which needs to be renewed. You get a custom domain manager with this plan which helps to transfer domains easily and keep a track of purchases and administration. You also get unlimited email accounts which comes with POP3 and IMAP support and spam protection. If you are looking for hosting for your WordPress website then Bluehost is the best choice as WordPress officially recommends Bluehost as a hosting partner. Bluehost provides custom interface integrated with additional tools for website development and server management and comes with cPanel. Moreover, Bluehost has excellent customer support team which is available 24/7 for your help. Scalability – If you ever need to change your hosting plan and upgrade it, you can effortlessly upgrade from a shared hosting account to a VPS or to a dedicated server on Bluehost. One-Click installation – Bluehost provides auto script installations that is very helpful to install web apps such as WordPress, Drupal, Magento etc with a click of a button. Automated backups – All web hosting accounts are backed daily, weekly, and monthly so you can always revert back to a previous version of your website whenever you need. High performance at low prices. Free weebly website builder with thousands of templates. 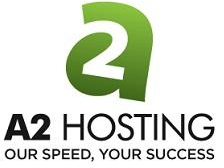 A2hosting is one of the best options for people seeking a fast, reliable and cheap web hosting. It provides three plans called as Lite, Swift, and Turbo. The lite plan costs $3.92 / month and provides hosting for 1 website, 5 databases, unlimited storage for websites, unlimited bandwidth. You also get free SSL & SSD and is the best plan if you are looking for reliable hosting for just one website. All this comes with any time money back guarantee. You do not get a free domain name with this plan and it can be considered as a drawback. You also get free CloudFlare CDN and SSD storages. Security – Unlike many other hosts A2hosting provides additional security for your web hosting. You get daily scans for malware and exclusive hack scanning and detection product from a2hosting as a part of the package. Software optimizations – More clearly referred to as high page load speeds, a2hosting offers turbo servers which loads up the pages upto 20 times faster than their peers. The turbo servers make use of SSD storages to increase the page loading and data transfer speeds giving a huge boost in page load times, upto three times faster than traditional HDD storages. Additional web apps – a2hosting provides Cloudflare CDN and cPanel free with all their hosting plans. You also get Softaculous auto script installer that can install 1000+ popular web apps with one click such as WordPress, Magento, PrestaShop etc. You also get free SSL certificates that you can use to carry out secure transactions on your website. Moreover, you do not need to worry about getting your website listed in Google as Attracta, a SEO tool is provided free of cost that does the work for you. Developer perks – A2hosting provides unlimited RAID-10 storage along with unlimited domains , databases and domain names (depending upon the selected plan). You also get unlimited Email accounts which are supported by POP3, IMAP and SMTP protocols and spam filtering. All the plans support the latest PHP 7 and MySQL is always kept up to date. It also provides access via SSH and server rewind backups are provided free of cost. Ease of use – A2hosting tries to keep its user experience as easy and possible. It comes with cPanel which is the industry standards as far as the hosting management tools are considered and is very easy to navigate through and use. Technical support – Technical support at a2hosting is top notch with 24/7 network monitoring and a US based support team that is available 24/7. There is also a dedicated team for WordPress hosting support. The support team includes representatives who are highly qualified and provide support from starting a blog to advance server manipulations. Top notch server performance with high page loading speeds. Ability to choose server locations (among United STates, Asia and Europe). Can host only one domain per account. No free domain name included in the plan. It needs to buy for an additional cost of $15. HostPapa offers quality hosting and feature-rich plans at a very affordable price. HostPapa has three plans listed on their websites named as Starter, Business and Business pro, where starter being the basic plan required for small-scale websites and business pro being the plan suitable for websites with heavy resource consumption. The starter plan costs $2.95 / month and is perfect for a basic blog or website. It comes with a free domain and provides hosting for two websites. You also get 100 GB of storage space and unlimited bandwidth. The Business and Business pro plans come for $4.95 / month and $ 11.95 / month respectively and provide hosting for unlimited websites, free domain and unlimited bandwidth and storage. HostPapa charges no extra fees for hosting setup and domain name registration for the first year. All hosting plans provided by HostPapa are covered under 30 days money back guarantee. Unlimited Storage & bandwidth – All the plans on HostPapa come with unlimited bandwidth and storage space so that you never run out of space on your website. Free setup & domain – HostPapa does not charge any extra fees for domain registration and setup. All the cost are included in the plan itself. Free website migration – HostPapa offers free migration and setup using the PapaSquad migration service when moving from a different web host. 1-Click Script installs – You can install 100+ scripts and web apps such as WordPRess, Magento etc using the 1-Click script installation tool. 9% Uptime – HostPApa guarantees 99.9% uptime for all its web hosts. Free SSL certificates – NEed to carry out secure transactions on your website? Hostpapa has got you covered with its free SSL certificates provided by Let’s Encrypt. Free website builder – All the hosting plans on HostPapa comes with free website builder using which you can create simple websites within few hours. Drag and Drop – The website builder features Drag n Drop facility which is helpful if you are new to websites and blogs and want to create a good looking website as early as possible. Widgets & templates – If you want to create a websites within no time you can use among 100+ professionally designed mobile friendly templates and you can also integrate widgets and apps into your websites such as contact forms, social media buttons and maps and much more. World Class servers – HostPapa uses top notch servers supplied by HP and SuperMicro which includes 32 cores and a minimum of 128 GB RAM and deliver the best performance. Cloudflare CDN – HostPApa provides Cloudflare CDN for all the web hosting plans that can be enabled with 1-Click form the cPanel.cloudflare CDN helps to enhance the website’s performance and significantly increase the page load speeds. Accelerated performance with SSD drives – All the servers on HostPapa uses SSD drives for faster transfer and page load speeds. Unlimited Email Addresses – You also get unlimited Email addresses with Business and Business pro plans. Spam protection – HostPapa provides extended spam protection for all the emails which can be enabled from the cPanel. 24/7 Support – HostPapa’s Customer support team called as PapaSquad is available 24/7 to resolve your queries. You can contact them via email, Live chat, or phone. Multilingual support – Don’t feel comfortable in English? You can reach HostPapa’s customer support team in total four languages, mainly English, French, Spanish and german. Free domain names with every hosting plan. High speed SSD servers decrease the page load time. Renewal fees for hosting plans is very high ($9.99 / month) after the initial subscription. InMotion hosting provides high-quality web hosting for cheaper prices, though the prices are a bit high when compared to the prices offered by competitor hosts but InMotion hosting provides a good amount of additional services and features that are worth a try. InMotion hosting has three different plan listed under shared hosting category named as Launch, Power and Pro where Launch is the entry-level plan. The Launch plan comes with a price tag of $2.95 / month and provides hosting for 2 websites with a free domain name included in the package. You get unlimited Disk space and Unlimited bandwidth for storing your website’s files. You also get unlimited Emails along with free SSL certificates for secure transactions. All this comes with a 90 Day money back guarantee which is much more than what is offered by peers. Extra Resources – InMotion Hosting provides tons of resources and features with all of its hosting plans. SPAM Safe Email with IMAP. Technical Support – InMotion hosting provides 24/7 US based technical support via different means. You can contact the customer support team via phone calls, Live chat and emails. The customer support team is well trained and can assist you on all levels ranging from beginner to advanced. State-of-the-Art hardware – InMotion hosting uses top of the line servers manufactured by Dell and has their green technology server farm centre in Los Angeles, California. High speed storages – SSDs are an integrated part of InMotion hosting server lineup which helps to significantly increase the transfer speeds and performance. One-click applications – With all the hosting plans on InMotion hosting you get access to 400+ applications such as WordPress, PrestaShop and OpenCart which can be installed with one-click. Reliability and Ease of use – You get a guaranteed uptime of >99.9% with InMotion hosting and a very easy to use interface for managing your websites and hosting connections. High Performance servers with high uptime (>99.98%). Free domain with all the hosting plans for the first year. Free website migration for first time customers. Namecheap provides it clients with high quality website hosting for cheap and affordable prices. It provides a variety of hosting plans which are suitable for small websites with lower traffic to big websites with huge number of monthly users. Namecheap provides three hosting plans named as Stellar, Stellar Plus and Stellar Business. The single web hosting plan costs $2.88 / month and provides hosting for 3 domains and 20 GB of SSD Disk Space with unlimited bandwidth. You also get 1 MySQL database, 30 Email account and 50 FTP user account. You also get a free domain name with this plan and it is most suited for small-scale websites which has less number of monthly users. All the plans comes with a 30 Day money back guarantee. Huge Plan benefits – Namecheap provides a huge number of benefits with the Premium and Business plans for better experience. 90+ software auto installer scripts. Affordable Domains – free domain names are provided with Business and PRemium plans but those who buy Single hosting plan also get domains for a discount. .com and .net are provided for $10 / year and .org and .biz come for a price tag of $12 / year. 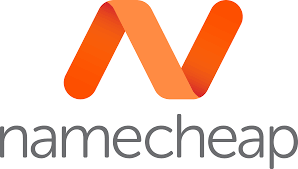 24/7 Technical support – The technical team of Namecheap is super responsive and the live chat feature can connect you to a support agent within seconds. Namecheap promises technical support 24/7 throughout the year. With a huge database of self help tutorials available on Namecheap’s website, getting your issues resolved is only a matter of minutes. Ease of use – All the hosting plans on Namecheap come with cPanel as the default hosting manager client. cPanel’s light and easy to use interface makes it much easier to manage your hosting and domains. Managing your billings and and other hosting related settings is very easy with Namecheap’s unified control dashboard which lists all the settings in a very intuitive way. Reliability – Namecheap has achieved its reputation by providing high quality hosting with great uptimes (>99.9%) and never disappoints you. If for some reasons the company fails to provide what they promise you can request a 5% credit from their monthly hosting fee. Namecheap uses cloud based computation servers which provide high speed transfers and fast page loading speeds. Free website migration for first-time customers. Charges $12 extra for selecting different data location than United States. Hostinger provides it clients with high quality website hosting for cheap and affordable prices. It provides a variety of hosting plans which are suitable for small websites with lower traffic to big websites with huge number of monthly users. Hostinger provides three hosting plans named as Single Web Hosting, Premium web hosting and Business web hosting. The single web hosting plan costs $2.15 / month and provides hosting for 1 website and 10 GB of Disk Space with 100 GB of bandwidth. You also get 1 MySQL database, 1 Email account and 1 FTP user account. You also get a free domain name with this plan and it is most suited for small scale websites which has less number of monthly users. The other two plans offered by Hostinger costs $3.49 / month and $7.95 / month respectively and comes with unlimited everything With faster server speeds and better storage technology. All the plans comes with a 30 Day money back guarantee. Huge Plan benefits – Hostinger provides a huge number of benefits with the Premium and Business plans for better experience. 24/7 Technical support – The technical team of hostinger is super responsive and the live chat feature can connect you to a support agent within seconds. Hostinger promises technical support 24/7 throughout the year. With a huge database of self help tutorials available on Hostinger’s website, getting your issues resolved is only a matter of minutes. Ease of use – All the hosting plans on Hostinger come with cPanel as the default hosting manager client. cPanel’s light and easy to use interface makes it much easier to manage your hosting and domains. Managing your billings and and other hosting related settings is very easy with Hostinger’s unified control dashboard which lists all the settings in a very intuitive way. Reliability – Hostinger has achieved its reputation by providing high quality hosting with great uptimes (>99.9%) and never disappoints you. If for some reasons the company fails to provide what they promise you can request a 5% credit from their monthly hosting fee. Hostinger uses cloud based computation servers which provide high speed transfers and fast page loading speeds. Free domain name with Business and Premium plans. Allows hosting only one domain per account. Is using a cheap host risky? Now, this is a question which many of you might ask. Is cheap hosting really worth it? Yes, though cheap hosting provides good value for money they do have their own drawbacks. As providing cheap hosting is only profitable for a company if many users are packed on the same server decreasing the server costs for the company, this might be profitable for the hosting company but it can cause a bottleneck and slow server speed issues for the customers using it. This can lead to certain risks such as sudden data loss or slow website speed throughout a very long time. Though many web host provides data backup facilities but you should always make sure that you only choose reliable cheap hosts. What to look for in a cheap web host? Though you cannot expect everything from a cheap host that you might get with premium hosting plans but there are certain things you should always look for when choosing a web host. A cheap host should at least provide enough resources to host a low traffic website. It should provide the few necessary features such as email hosting, server maintenance features, good amount of monthly bandwidth and automatic backups. The latest version of server sided software such as PHP and MySQL. Technical support should not be compromised at all, there is no use in buying any web hosting plan if you can’t get your doubts cleared. A good server uptime (more than 98%) is always recommended. If you need cheap and reliable hosting for your small-scale website or if you have a low budget, Cheap hostings can always be a great option provided they are trusted and provide good value for money. Free hosting can always be a great alternative to cheap hosting but free hosting has lots of disadvantages. So if you are looking for good cheap hosting providers, here above we have compiled a list of top 10 web hosts which provide reliable and cheap hosting to suit your needs.